Monte Carlo or Bust... Legend Reborn! There is much more to Monaco that just the Monaco Grand Prix. There is also good reason anyone who is anyone in Monaco is talking about the renovation of the Hotel de Paris: The jewel in the crown of the Monte-Carlo Société des Bains de Mer Group, is experiencing one of its most historic moments in 150 years of the grande dame's existence. She has been carefully undergoing a prolonged face-lift for nearly 4 years, and this fall, she’s finally unveiling her new look. Set to reopen in full this December, the iconic address on the edge of Port Hercules is the most anticipated debut in Monte Carlo since, well, the hotel’s first debut in 1863. These renovations aim to give a more distinct form to François Blanc’s dream of “a hotel that surpasses everything that has been created until now”. The major innovations will include the creation of a garden courtyard in the middle of the establishment, roof renovations, a new spa, fitness and pool area, exceptional suites and a “rooftop villa” with a private garden and pool. The overall accommodation capacity will be similar, but the rooms and suites will be bigger and the number of suites will increase. The historic hotel facade facing the Café de Paris will remain intact. Legendary places including the Entrance Hall and the Wine Cellar and emblematic establishments such as Le Bar Américain, La Salle Empire, Le Louis XV and Le Grill will all remain. Architects Richard Martinet and Gabriel Viora are in charge of carrying on and exalting the spirit of the Hôtel de Paris Monte-Carlo, while anchoring the establishment firmly in the 21st century so that the legend may live on. Located on the 8th floor of the Hôtel de Paris Monte-Carlo, Le Grill offers a magnificent panoramic view of the Mediterranean. The roof opens entirely, so diners can enjoy lunch in the sun and dinner under the stars on warm evenings. The 77th Monaco Grand Prix 2019. Think about it for a moment. Is there a better way to travel to world’s most glamorous and adrenaline-charged sporting event than by private jet? 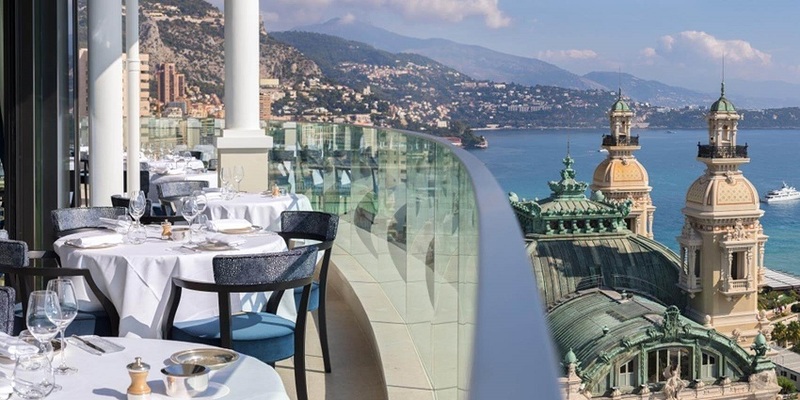 There is good reason anyone who is anyone in Monaco is talking about the renovation of the 150 year old grand dame, the one and only Hotel de Paris. Monaco Formula One Grand Prix by private jet! Think about it for a moment. Is there a better way to travel to world’s most glamorous and adrenaline-charged sporting event than by a private jet? Standby for amazing private jet deals & more in your inbox!